This boat appears to be in excellent condition and has meticulous records to show the work that has been done. She could use a good waxing but otherwise, everything seems to be in perfect working order. No visible mold or rust of any kind. 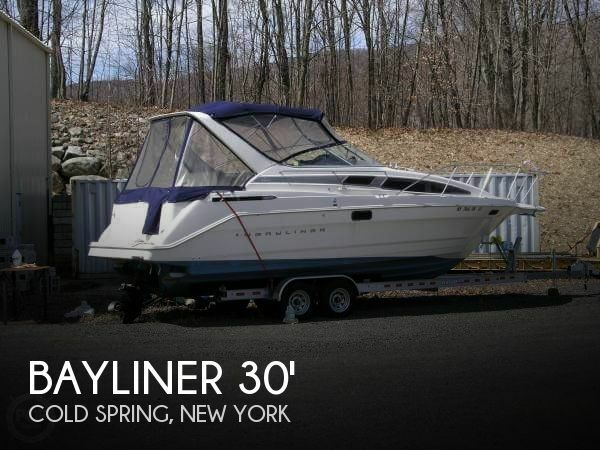 Stock #164123 2002 Bayliner Ciera has been completely gone through and is ready to go. New out-drive, new seals, new pumps, New, New, New! Come and Get 'er! 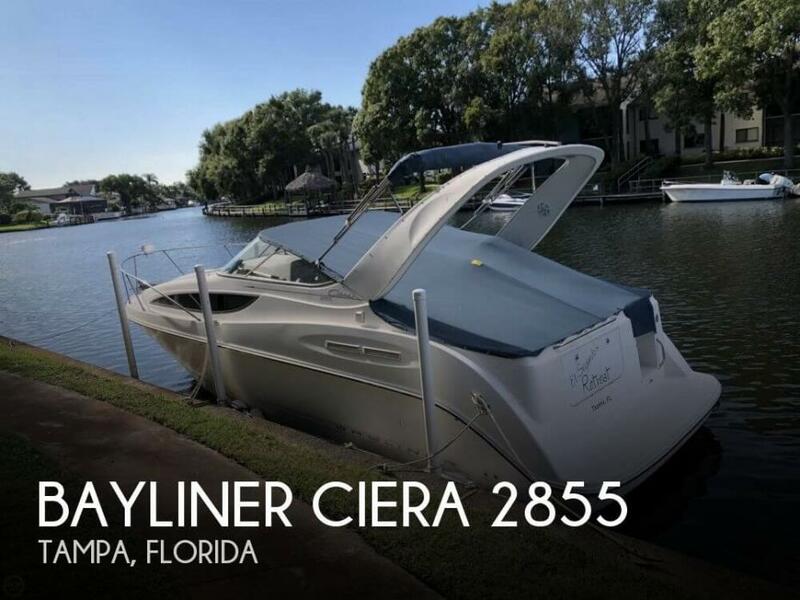 If you are in the market for an express cruiser, look no further than this 2002 Bayliner Ciera 2855, priced right at $31,200 (offers encouraged). 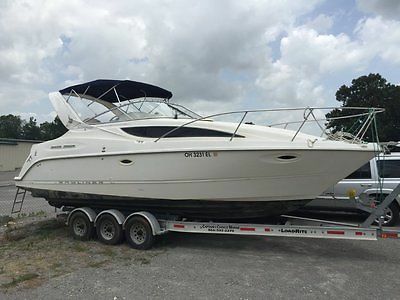 This boat is located in Tampa, Florida and is in great condition. She is also equipped with a Mercruiser engine that has only 250 hours. 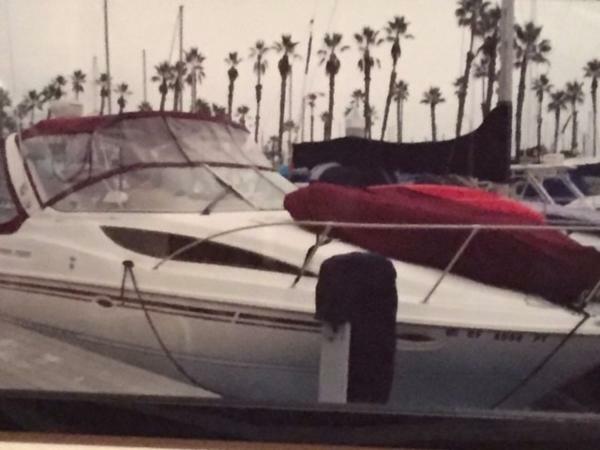 Reason for selling is wants twin outboard center console fishing boat. This vessel shows well for her age. Carpet and some upholstery less than 1-year-old. Bottom paint and trailer paint were just done. Interior is clean and fresh. Magma BBQ is recent. New lines and shore power cable. Stock #162276 Fresh Water Use only, Powered with a Mercruiser 496 Bravo 3 and ready to go cruising today! 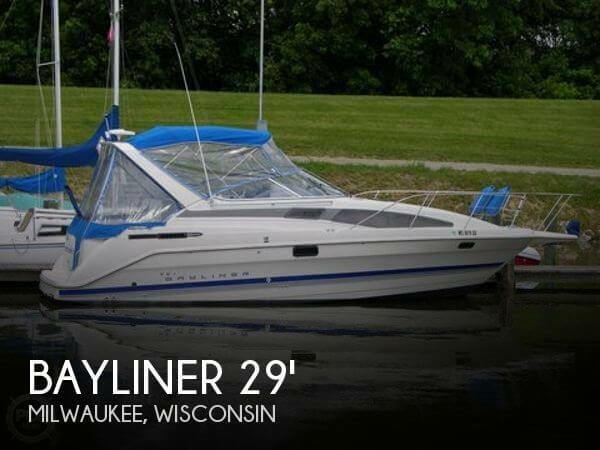 If you are in the market for an express cruiser, look no further than this 1999 Bayliner Ciera 2855 Sunbridge, priced right at $29,999 (offers encouraged). 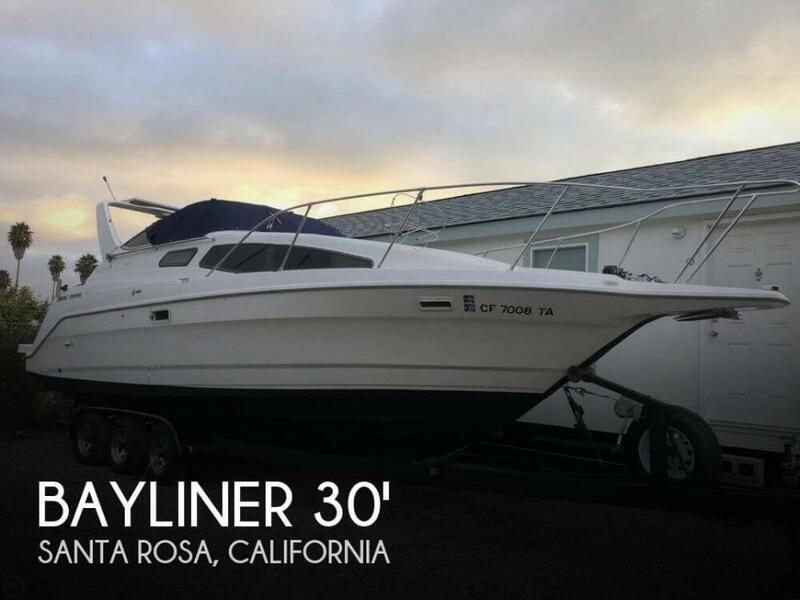 This boat is located in Santa Rosa, California and is in great condition. She is also equipped with a Mercruiser engine. Reason for selling is no longer boating. This vessel is currently shrink wrapped but is in good condition. Motor can be started while winterized. Engine is clean and has been well maintained. The Venture trailer is 2013 and is in great condition. Some recent work done on the boat : All new handrail base clamps.front and rear lights new ,all new ropes bumpers and snubbers.All life jackets new, New intake manifold with new carb old carb as spare,all fuel lines new with new fuel pump,new gas tank aluminum with fittings hull under tank cleaned and drain passages blown out,new thru hull water fitting new drain pump and both bilge pumps new with switches.new engine water pump , risers cleaned,new dist cap rotor coil plugs, new water heater not used yet,out drive baffles new, new shift and throttle cable,gimble bushings replaced, new boat trailer and enough boat stands to take boat off trailer,hard floor dingy with honda outboard motor,all gauges and switches new. boat bottom completely soda blasted all blems found ground out and re-glassed 5 coats of bottom paint 3 base 2 top. Stock #106636 Fresh Water Use ! New Trailer Big Motor Option ! 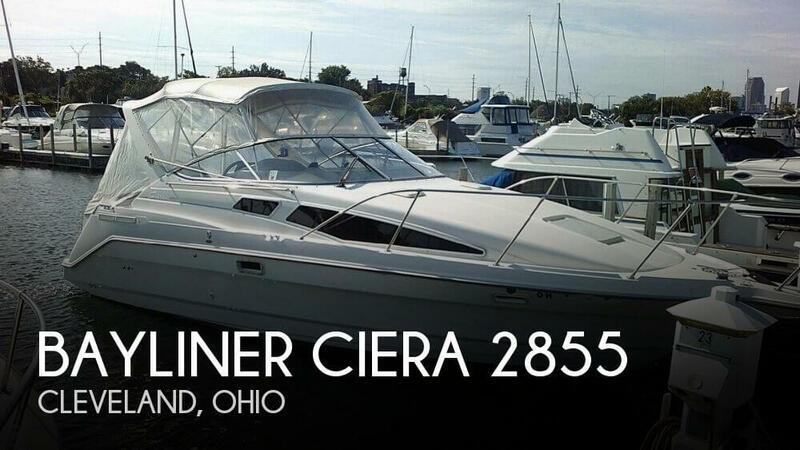 If you are in the market for an express cruiser, look no further than this 1994 Bayliner Ciera 2855ST, just reduced to $20,500 (offers encouraged). 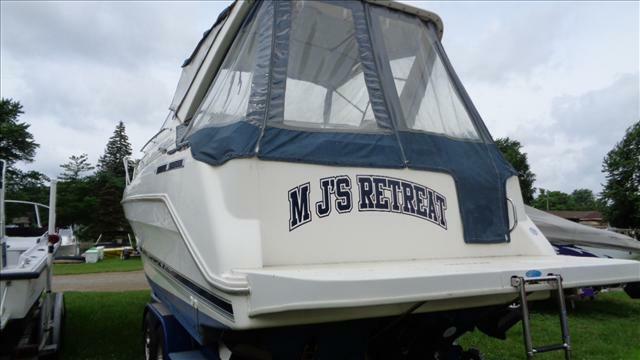 This boat is located in Cold Spring, New York and is in great condition. She is also equipped with a Mercruiser engine that has 477 hours. 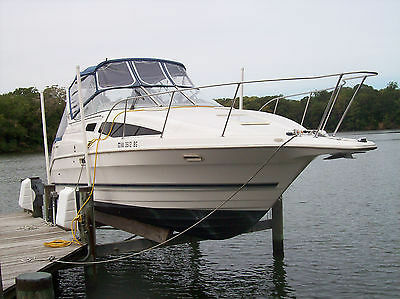 2001 Bayliner Ciera 2855 28' Bayliner - Great little fishing boat or day cruiser. NEW Mercruiser engine with 274 hours. NEW outdrive Bravo 3 at 260 hours. NEW refrigerator. More photo's and spec's to follow. Please call to make an appointment to see the boat. 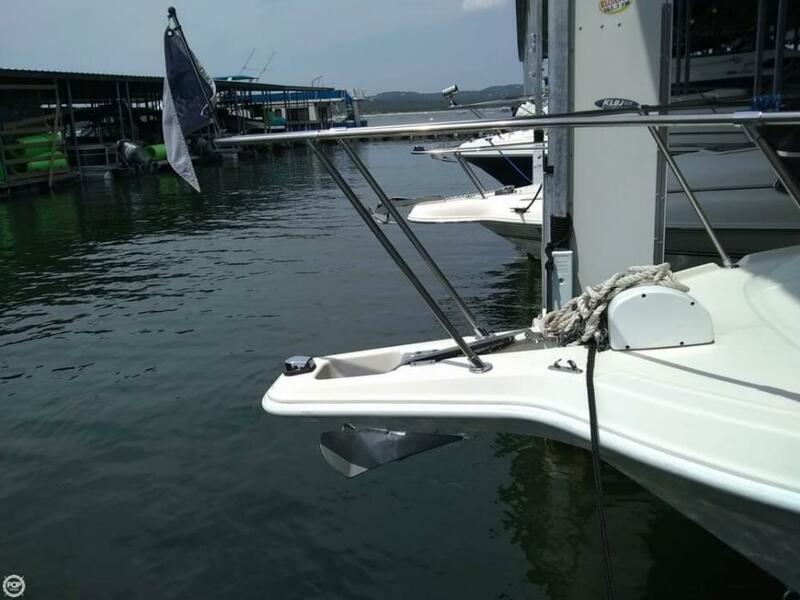 Slip available with marina management approval.